NASA developed radiant barrier technology for the space program. In a quest to discover a way to protect the astronauts from temperatures ranging from 310 degrees Fahrenheit to - 290 degrees Fahrenheit, they found that a thin sheet of aluminum radiant barrier would do the same job as a seven foot thick piece of fiberglass insulation. The same technology is now available for your home's attic. Lower your heating and cooling cost TODAY! 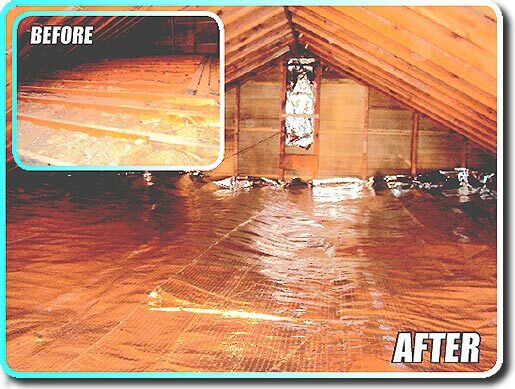 Stops over 97% of Radiant Heat Loss! Investment pays for itself within just a few years! SAVE UP TO 40% ON YOUR HEATING AND COOLING COST!